Oldham County is located on Interstate 71 just 25 miles northeast of Louisville, Kentucky and less than 100 miles southwest of Cincinnati, Ohio. It is an area of remarkable economic growth, great for business and boasts the lowest unemployment rate in the state and the highest per capita income. Key cities in Oldham County include LaGrange, Crestwood, Pewee Valley, Goshen, Prospect, and Westport. Although all of our cities are unique and offer special amenities, La Grange is the County seat and is known for its history and the active train that runs through its downtown. Oldham County Public Schools offer quality education, strong athletics programs and creative arts and technology curriculum. Oldham County was ranked the highest school district in Kentucky in the 2009 CATS (Comprehensive Achievement Test Scores). The comprehensive index scores of Oldham County Schools were 101 average compared to the State-wide average of 86. Our award winning schools maintain the highest accreditation possible from the Southern Association of Colleges and Schools, which is a high-standard both in the State and Nationally. 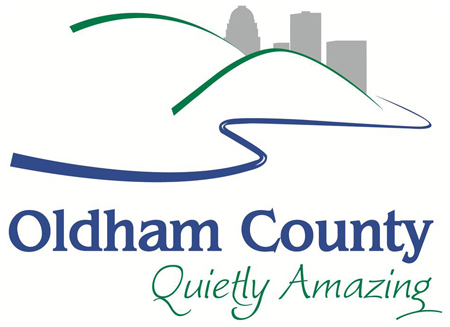 Oldham County also offers a quiet residential lifestyle with new modernized neighborhoods and beautiful farms. The restaurants are unique and locally owned/managed, the shopping is plentiful and the lifestyle here allows access to quality jobs while enjoying an affordable lifestyle.